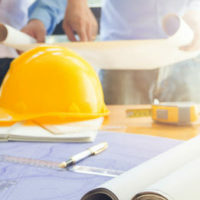 Many property owners, after they have settled on a bid for a construction project, utilize a standard construction contract to establish the rights and responsibilities of each party. While many property owners may simply reuse a contract from a previous project, each project has its own issues and nuances and, as such, it is advisable to engage the services of a construction law attorney experienced in drafting construction contracts. One clause typically included in many contracts is a termination for convenience clause. Although these clauses are typically not invoked, Florida caselaw has repeatedly shown a hands-off approach to undoing such contractual clauses, deferring instead to the parties who negotiated these clauses. A discussion of convenience termination clauses in construction contracts, and whether a contractor may be able to avoid the enforcement of such a clause, will follow below. As mentioned above, Florida courts have deferred to the negotiation process when analyzing the enforcement of contractual terms, including clauses for termination for convenience. Generally, termination for convenience clauses allow a property owner (or the general contractor, if the contract is between it and a subcontractor) to terminate the contractor’s (or subcontractor’s) remaining work on the project merely for convenience; i.e., not due to any fault on the part of the contractor (or subcontractor). Typically, these clauses are intended to provide the owner with a means to terminate a contract if financial means to pay for the project are not available. Additionally, these clauses allow the owner to delete a portion of the contract, if, for example, the owner decides at a later time against a specific aspect of the original project. Once this clause is asserted, the contract typically indicates the rights and responsibilities of each party in winding down the project. Typically, the terminated party must cease from performing any further work on the project. The terminating party will typically be required to compensate the terminating party for actual work completed in accordance with the original contract. In some cases, the terminating party may be required to pay a surcharge for invoking the termination for convenience clause. The purpose for the surcharge is two-fold – it gives the terminated party some degree of profit, while also ensuring that the terminating party does not invoke this clause on a whim. In every contractual negotiation, there is an implied covenant of good faith and fair dealing by all parties, and this implied covenant continues through the end of the contract. Consequently, one restriction on invoking such a clause is that it was invoked in bad faith. One instance in which this restriction may be asserted against the owner could be if the owner attempts to invoke it solely to avoid making the final payment to the contractor. However, a return to the Florida case discussed above is necessary to show how courts view bad faith in the termination of construction contracts. In that case, the general contractor terminated the contract with a subcontractor merely because it was able to find a better price from another subcontractor. In rejecting the subcontractor’s contention that the general contractor was acting in bad faith, the court noted cited the plain language of the contract, and stated that invoking the clause was not contrary to the reasonable expectations of the contracting parties. Effectively, the court indicated that, since the parties negotiated the clause in good faith, it would be improper for the court to undo such negotiations. In the end, since it appears that courts may not accept a bad faith argument, the best defense against a termination for convenience clause is to have an experienced construction law attorney assist in drafting and negotiation construction contracts. If you are in the process of negotiating a construction contract, talk to an experienced construction law attorney as soon as possible to ensure that you will not be negatively affected by a clause contained in the contract. The attorneys at Linkhorst & Hockin, P.A. have the knowledge and expertise in drafting and negotiating construction contracts, and understand what needs to be done to ensure that your rights and desires are addressed. Contact our Jupiter office today.